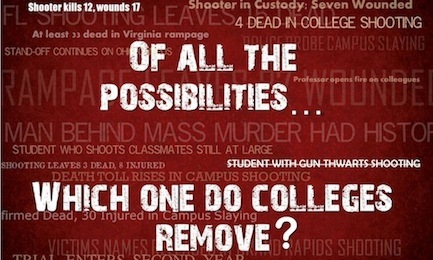 At this moment, ten states allow concealed handgun license holders to carry guns on campus. Essentially, this measure aims at maximizing the protection of the students, faculty, and staff, especially in light of the many shootings that have taken place in schools and public spaces. Nevertheless, carrying a gun comes with a range of responsibilities. When you decide to carry a gun with you, you should take the necessary precautionary measures to prevent unwanted scenarios from happening. First, you should assess the risks. While it appears that the likelihood of accidental death in a house with a gun is ten times higher than in the case of a house without a gun,the question that needs to be asked is why. The major issue in this respect is forgetting to secure the firearm. At the same time, storing it accordingly is just as important. Normally, at home you would have a sturdy safe to keep your firearm at all times. If you haven’t considered investing in a safe until now, then we advise you to do this, as it’s highly recommended for the preservation of your valuables (and your firearms) in a disaster, and dissuades theft. If you’re undecided about the item that suits you best, check the Minute Man Review for some useful guidelines on the topic. 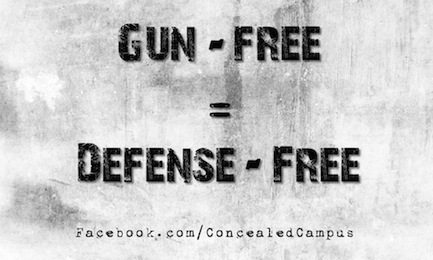 Moving on to carrying your gun on campus, you should know that it’s your responsibility to protect it. We advise you to utilize a retention holster. These usually comes with a locking mechanism that prevents unauthorized access to the weapon. Usually, concealed carriers aren’t too concerned about this aspect, as most people won’t be aware that they’re carrying a gun with them. Nevertheless, even in this situation, there are retention issues that shouldn’t be overlooked. For example, at university, people might bump into you – at the cafeteria, on-campus – wherever there are crowds of people rushing in a specific direction. Thus, by using a retention holster, you can be 100 percent confident that the gun won’t come out unintentionally. Carrying a loaded handgun is serious business. 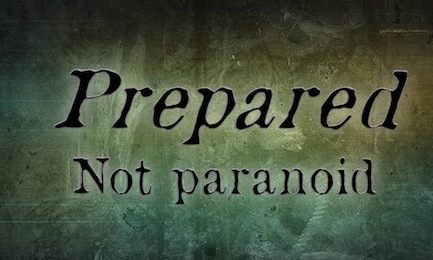 This is why, at first, you might feel anxious or agitated. Nonetheless, there’s also the risk that, once you get used to carrying the gun with you, you might become careless and ignorant, thus, forgetting to respect the primary safety procedures. And while it is true that a gun can be very dangerous, as long as you include the right habits into your daily routine, you’ll prevent unwanted incidents from happening. With that in mind, there are two critical pieces of gear you should invest in – namely an adequate holster and a decent gun belt. Even if these might require a notable investment, they are meant to maximize your safety and the safety of those around you. So, you should put the firearm in a holster; preferably, the holster should be made from leather or kydex. These materials are form fitted to the specific model of the firearm, which will maximize safety. On the other hand, generic one-size-fits-all holsters cannot possibly secure all types of firearms. At the same time, you should stay away from holsters manufactured from cloth materials, as they are far from being safe. The purpose of the holster is to secure the gun and keep it in place during the day. Hence, it should keep it tight. 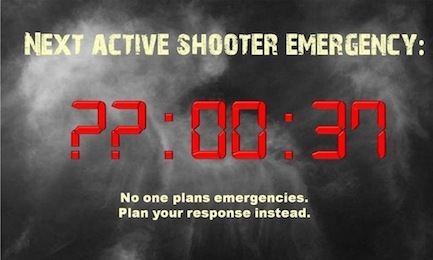 Simultaneously, the trigger guard of the gun has to be covered at all times. Only this way can you be 100 percent sure that the gun won’t discharge regardless of the type of activity you engage in. Furthermore, it is highly recommended for the holster to be securely affixed to the belt through the clips or loops. The belt should easily cope with the weight of the gun. In general, regular belts tend to be on the flimsy side, making them widely unsafe for carrying a firearm – especially at university. Plus, if you want to attach the holstered gun to a regular belt, you might feel uncomfortable and self-aware throughout the day. In order to eliminate the likelihood of negligent discharge, you should minimize handling of the firearm if it isn’t absolutely necessary. Now, let’s say that you securely position your gun in its holster when you leave the house. Ideally, the gun should stay put until you return home. 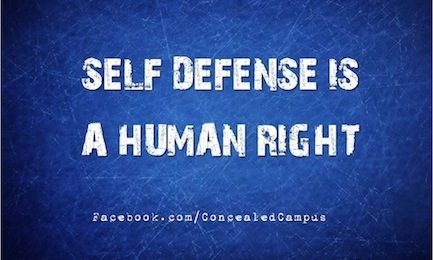 There isn’t any reason you should access your firearm – unless you must use it for self-defense purposes, of course. In case you have to remove the gun because you need to enter a restricted area, make sure you are very careful when handling the firearm. In fact, many people choose holsters that come with clips – as this makes it easier to take the holster off and back on without removing the firearm. You might be surprised, but there are many irresponsible people out there, who are quite careless when it comes to gun carrying and handling – especially in public. For example, numerous surveillance videos have shown individuals unholstering their guns unnecessarily. The bottom line is that gun handling should be done only in the appropriate circumstances. It is not a joke; it isn’t something to brag about. 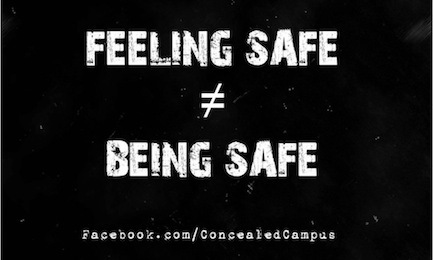 It’s as simple as this: you shouldn’t unholster your firearm unless you have to defend yourself. On a final note, when carrying a gun with you in public, you should develop a sense of self-awareness. Eventually, it will become second-nature. However, as a piece of advice, if you carry a strong side hip holster, then you should learn to protect that specific side. Also, when eating at the cafeteria, if you have the choice, you should sit with the gun side away from the person sitting next to you. 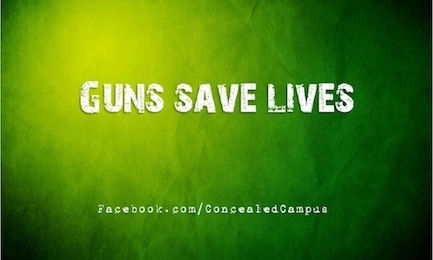 Plus, if it’s possible, avoid making any contact with the firearm. We all wish that dangerous situations never occur and that we all never face life-threatening conditions. 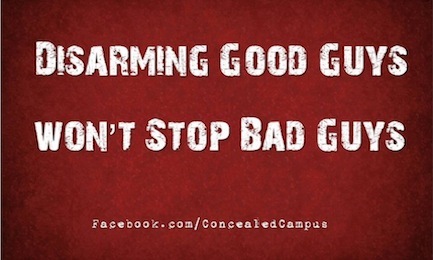 But we should all be prepared and learn how to handle a gun safely in case something goes wrong.